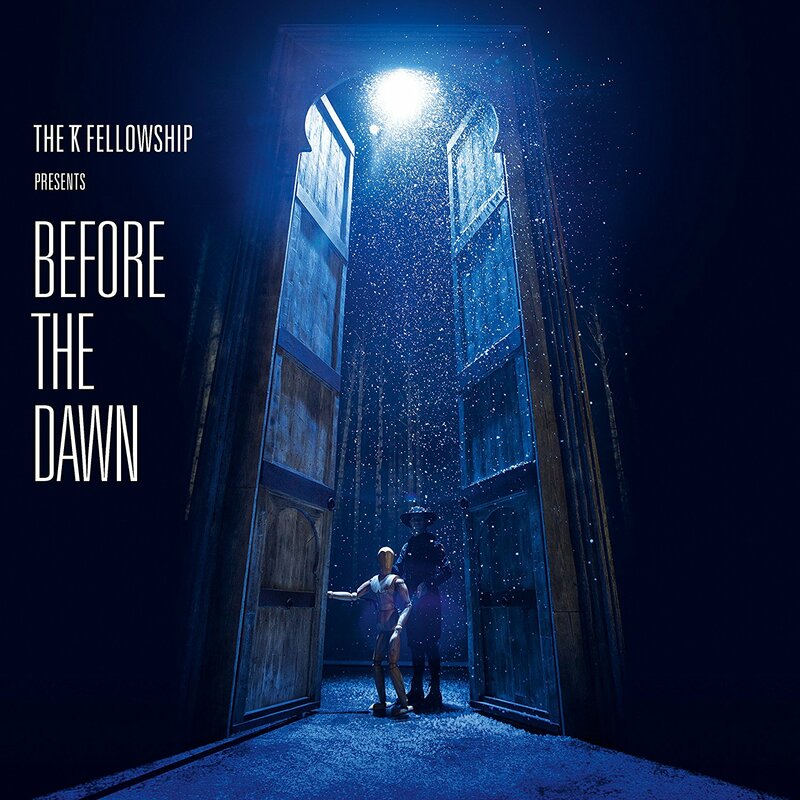 Two years after Kate Bush stunned the world with Before The Dawn, her incredible 22-show run of live concerts in London’s Hammersmith Odeon, comes the announcement (finally) that the full audio (and more!) 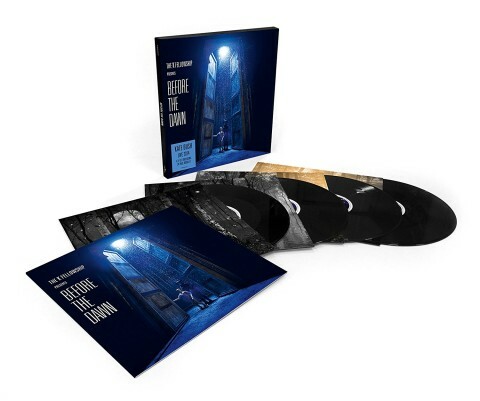 from the shows is being given an official release as 3CD and 4LP vinyl sets. Let’s get the big disappointment out of the way first. Video of Before The Dawn (it was filmed) forms no part at all in this release – so no DVD and no Blu-ray. That’s a real shame, especially for the majority of Kate fans who couldn’t get to see her live in 2014. But on the positive side… a Kate Bush release of ANY KIND is a minor miracle, so let’s explore what we ARE getting! The audio will be issued as a three-CD deluxe set with each disc representing one ‘act’ of the performance. The first disc contains the part of the show where Kate, sorry The KT Fellowship, performed a selection of songs (‘the hits’, loosely speaking) in a fairly conventional manner. This section of the show featured six songs, including Hounds Of Love, Running Up That Hill and King Of The Mountain. Interestingly, this audio release expands act one to include Sensual World album track Never Be Mine, which wasn’t played at all (at least not to a paying audience) back in 2014. The only conclusion is that this comes from one of the rehearsal performances. Act Two is on the second CD and this is where things get ‘theatrical’. This section opens with The Astronomer’s Call – the spoken word piece unique to the show – which sets the scene for a full performance of The Ninth Wave from 1985’s Hounds of Love. The third and final CD comprises Act Three, which is a full performance of A Sky Of Honey from 2005’s Aerial (this is side/disc 2 of the album, which like Hounds of Love is split into two distinct sections). It’s worth pointing out that this will be the first official release of the ‘new’ Kate Bush song Tawny Moon, which was sung in the show by her son, Bertie. As far as we know, no studio version of this track exists. The encore every night was Among Angels (from 20011’s 50 Words For Snow) and a joyous Cloudbusting. Those two tracks end the third disc and bring to a close the audio on this physical release. Incidentally, these 29 performances, are “selected performances” which I read to mean it’s not one show in its entirety, rather Kate has picked the best performances of each song from the 22 dates and compiled what she perceives as the ‘best’ audio version of Before The Dawn. The album was produced by Kate Bush and Kate has stressed that nothing on the record was re-recorded or overdubbed. There will be a 4LP vinyl release of Before The Dawn too. Acts one and two comprise one vinyl record, and act three is split across two further LPs. Before The Dawn will be released on 25 November 2016. PHJ5sa Very neat blog.Much thanks again. Fantastic. So did a 24bit/96kHz version turn up for sale anywhere? To put it bluntly, the sound quality on the first CD is atrocious. I wasn’t at the 2014 shows so am listening to this as a live album with little or no preconceptions. Personally I would have edited the album for CD release (assuming a DVD of the entire thing will happen eventually) and ditched the spoken word sections. I also thought the transition from King of the Mountain into The Ninth Wave weakened by the tracks occupying different discs. I think her rock voice isn’t that appealing these days but her softer delivery when it’s just her at piano is stunning. The music sounds brilliantly played and I couldn’t help thinking who else apart from Kate Bush would tackle something this challenging. So in the main I’m very pleased with the album but it’s not 10/10 throughout. Some saying the sound is quite poor and the worst and the other saying is the best Live record they ever have heard…. Just received the vinyl set and WOW! I was a bit dubious about paying £55 at first, but so glad I did. The set comes in a lovely box, the quality is superb. Anyone holding off on buying this, I recommend you just go for it. It’s a great reminder of a truly magical nite. “Never Be Mine” is alright, but I agree with Kate’s notion (via David Rhodes) that the track is ‘a bit too downbeat’ for the live set. I do like the new prog rock feel of the track but towards the end it starts to drag quite a bit… More importantly, had they left out the track from this release as well, Acts I & II would have fitted on one CD (at 75.44 minutes) and the build from “King of the Mountain” into “The Ninth Wave” would have been preserved. That was actually one of the high moments in the whole show for me, suddenly realising that “King of the Mountain” with its ‘wind is whistling’ lines and storm noises acted as a prequel to the whole “The Ninth Wave” suite. All that is now lost. Download versions don’t seem to have the transition intact either. “Never Be Mine” could have been a B-side (to “And Dream of Sheep”), on a proper CD single release – or a download only bonus cut. After the first spin: What a disappointment! Apart from a few tracks (e.g. KOTM) these “live” versions don’t really add a lot to the old studio recordings, a lot of the music is very obviously prerecorded/sampled. Guess the whole thing would make much more sense as an audio-visual experience! As welcome and as fabulous as this CD is,as someone living in Australia who had no chance of ever seeing this live, I would have cherished a blu ray release of this show. Every so often the audience bursts into applause and I can only assume either something very good is happening onstage or they’re just pleased to see her. Please release it on blu ray/DVD soon… not in 10 years time when people have moved on. Listening to this.. I put it in the “you had to be there” category. Sound quality isn’t terribly good, and to pick two examples – Running Up That Hill doesn’t quite come together, and the background vocals aren’t helping, and Cloudbusting doesn’t have the majesty of the original. Kate’s voice is okay, but even that clearly isn’t what it was. I’m sure the shows were great, but for me it hasn’t translated to CD very well. Don’t expect a DVD of this any time soon if what Kate was saying yesterday on her BBC 6 Music interview is anything to go by… It may (just possibly) happen one day but not yet….. Thrilled about this as was privileged to see this lady live in 2014. Not as excited about the DVD as I thought I would be though but just wanted to get my hands on the live music…..finally! This is great news and I begun to doubt whether it would happen. To put it into context the last proper live release (the Hammersmith concerts) were a few weeks before I was born! If I order the 4-LP vinyl set will I get a download code for digital copies of the songs? The other day I pre-ordered two copies (1 for me, 1 for a gift) from AmazonUK, but then read somewhere that the code wouldn’t work in the US, so I deleted my order. I’m surprised how difficult this has been to find out. It seems like it should be stated clearly in the product information. I don’t think you do get a code for digital copies (MP3) so you’ll have to buy the CD as well. Ta for the link Blackbird, lovely to read Kate’s notes. And thanks to SDE for the Kate-mail keeping us up to date! and while i’m here i’d like to offer my sincere appreciation for Paul’s widget, a portal to joy (and possibly my financial ruin). It looks as if the USA gets a separate pressing from us lot then?! I couldn’t help myself (and frankly didn’t want to) and i’ve put in an order with Amazon.com. I can compare pressings like a true vinyl nerd. Paul, are you able to confirm whether the vinyl release will come with a digital download or not? That hasn’t been mentioned anywhere, so until I hear something to the contrary, I’d say not. Before The Dawn was the best concert I have experienced. Ever. I had been hoping KT would release a proper audio recording of it and she is! This is a wonderful ending to the year. The US Amazon links are up. I’m assuming Concord Records will be pressing their own vinyl? Anyone have an opinion of how their vinyl sounds in general? I have heard good reports about the Paul McCartney vinyl Concord issues. However, I will most likely opt for a UK Fish People version. The US vinyl pressing for 50 Words For Snow via ANTI was extremely poor. Don’t need to repeat that experience. Re: Never Be Mine. The song was not performed at the ‘Family & Friends’ rehearsal that I’m aware of. IMMEDIATELY PRE-ORDERED! SO Excited about this! At long, long last I’ll get to hear these unique concert performances! Act One does not resemble a “greatest hits” to me in any way. I appreciate commentary from people who are big fans, who went to the show, and who give their honest, critical opinions. I would have been disappointed if the concert appeared on DVD. Blu-ray or even better, 4K. Why not? This is 2016. Why use old formats to the exclusion of new? It would also elevate the publicity of this release, there being so few 4K titles to date. I am glad that she is releasing all the songs played and even one that was only performed in rehearsal. That’s so much better than leaving songs out to keep it down to 2 CDs. Kate, please don’t leave it to your estate to release stuff. Let us enjoy it before our time runs out too. This is great news. I hope that they will release this also on DVD / Blue-ray. First I am going for the 3 cd. Obviously where Kate Bush is concerned its easy to get excited over anything she releases and Before the Dawn is no exception. However given this has taken 2 years to appear for just mixing the tapes I have to say that is a long time to wait for just the audio release. I don’t buy the excuse that she had so many tapes to check etc…. 22 shows at 2.5 hours each should have taken no more than a month to review and whittle down the best performances to a definitive set for release. This could have appeared within 12 months of the final gig without really having to rush anything. I was not able to attend the gigs in question (but have to say I was slightly disappointed when I saw the set list) so I was especially looking forward to seeing the film of the show rather than just hearing the music, but I’m certain to get it and I’m going to enjoy most of it too I’m sure. But as someone who has followed Kate’s career since the first single I continue to feel short changed overall by her output – her prerogative for sure, and as others have said, she doesn’t owe us fans anything – its her career, her life etc…. But compared to more prolific artists I don’t believe she has made the most of her musical talent, particularly since Hounds of Love, which is a masterpiece. Her very best material will ALWAYS have a special place in my life, but I can take or leave much of the last 2 releases. I hope this live album detains me longer than Director’s Cut and 50 Words for Snow did and that one day she delivers up a really strong album of new material. I am sure she took a long break after the shows. Probably didn’t look at the tapes for a year or more. Anything after that showed rapidly diminishing returns, and her “comeback” Aerial simply continued that downward trend, only more so. I was also offered a ticket for one of the shows, but declined it, as I knew that it would this car-crash of the last 3 nu-KB LPs. I won’t be buying this – I’ll spend my moolah on the Tori Amos re-releases and the upcomming vinyl version of ‘Confessions of a Romance Novelist’ – by The Anchoress. Sorry, Kate, bu both of them wipe the floor with you. Big fan of the Bush here, pre-ordered without a second thought! Yes, I’m disappointed about no DVD/Blu-ray (especially as I had zero chance of getting to one of the shows) but I’ve followed her career long enough to know that any release from Kate is a rare momentous occasion and needs to be celebrated. I will cherish this CD. By all accounts it was a very theatrical/visual show so I will feel like I’m not getting ‘the whole story’ (boom-tish) but ‘somewhere in between’ (boom-tish) is better than nothing at all. If a DVD/B-r does eventuate that would be awesome, but if such a thing will ‘never be mine’ (boom-tish) so be it. Lady Genius is back! “BTD” CD #3 and LP #4 Bestselling in Music on Amazon.it (here too *all* of their music category). She’d be on top if the selling was not split in two formats. I have always been a big Kate Bush fan. My favorite album being ‘Hounds Of Love’. I have yet to hear a really good remaster of that or ANY of her albums. It is disappointing. The more I like an artist the more annoying it is when they don’t reissue their albums properly. I’m not as excited for Live recording’s as much as listening to a perfect studio recording, but I will plan to buy this. I have been a bit annoyed with Kates Bush over the years for her lack of reissuing her brilliant albums in the best possible sound quality with bonus material. So what I do is buy up her album on the original vinyl pressing’s and transfer it to digital (CD or mp3) to make it convenient to listen to, and it works for me! It’s like Digitally Remastering it myself, that’s how amazing vinyl sounds. Wish I’d managed to get my act together and flown over from Oz, as one clever person above did from the US. And how heartbreaking it is to read the offhand, so-so comments from some of those who were lucky enough to make it to a show. PLEASE if pressed in the US for us please be done by RTI..
and a repress of Aerial would be awesome too since I stupidly waited too long and missed it. Wow, so many comments already. For me, although a HUGE KB fan I think I will let this one pass for now and wait for the BluRay version that will include the audio. If that doesn’t appear within 6 months I’ll eat my KB collection. By the way, what happened to the Red Shoes reissue, I wonder? God knows. I asked them SO many times about it and got very bland ‘we’re still working on it’ type responses. Clearly, they’re aren’t working on it and ran into issues. I was in the front row and I can tell Alan she was singing live. 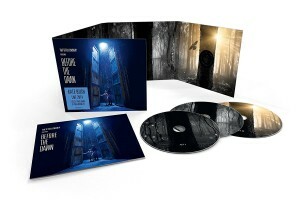 I’m very happy – it’s a new Kate Bush Album for flip’s sake and I’m sure the blue ray will come. Therefore Kate has less recordings to choose from for the DVD, so of course this record will not be an exact soundtrack of the DVD. Heads up Paul: Amazon U.S. link for the CD goes to the mp3 page. Thought I’d got rid of that. There is no physical release on Amazon US for some reason. Anyway, that MP3 link is now gone. Thanks for flagging. Guessing Never Be Mine will be the Director’s Cut version, not The Sensual World one. Just listening to the sound clip of Prologue on Kate’s site. Hairs on my arms are literally standing up as I do! It takes me right back to the gig and I’m so glad she’s left the audience reaction on. I’m sure the DVD will come eventually but for now let’s stop moaning and just celebrate this early Christmas present from KB! “No re-recordings or overdubs” – well, I suppose these aren’t needed as the music at least was mostly the original recordings! I wasn’t totally sure if her singing was live either!! Can’t help thinking this puts the kybosh on a DVD or blu-ray release. Would make sense to release it all together, unless it’s still in the pipeline and they want to make sure people buy both! Are you saying Kate was miming? Why say something that patently just isn’t true? I thought hearing Running Up That Hill would be the greatest live moment of my life (if she played it), it didn’t quite live up to that, but Cloudbusting was beautiful and moving. Thought the rest of the 1st set was great too. Somehow, someway, this Florida boy (USA) was able to snag two tickets and flew to the UK to indulge in the show. Then the one person who was supposed to go with me decided not to go and everyone in my party was “arguing” over who HAD to go with me, leaving me boiling. I almost sold the extra ticket to someone who would have died to have gone. Be that as it may, no one was going to ruin this once-in-a-lifetime opportunity for me! I, too, like someone had mentioned, had tears streaming down my face during the entire performance, especially ‘The Ninth Wave,’ where it had become uncontrollable. I have been mesmerized with ‘Hounds Of Love’ since its release in 1985. BRILLIANT show and performance. I’m happy to see these being released and hope that, one day, it will get a DVD release of it’s own, as well. Thanks for this fantastic news. Hope there’s one performance from my September 9, 2014 included. Just wanted to share my little story. It will be interesting to see whether Kate tells you which performance is from which show in the booklets. I hope it is the night I went, although any night would be fantastic. Very pleased to hear this is being released, very exciting. Bob: I guess I’m just guessing, but following Kate since 1978, it’s the most likely outcome. Pulled the trigger on the CD version, and looking forward to it very much! Many thanks for the info, Paul! Delivered to my door for under a whisker under US$20. As folks say on your side of the pond, Result! Any new Kate release is great news,it’s just strange that she never capitalized at the time and released at least an expanded ‘Whole Story’ which obviously it isn’t.God bless you Kate for doing things your way. Usual understatement on her site. No reference to lack of blu-ray etc. They need to get rid of that ‘gateway’ page which is ancient. Is there any word of a high-res release? With a live show, I’d much rather hear this in 192/24. Went to one of the shows, and it was brilliant. Sad to say that a CD of the show doesn’t interest me at all, and a DVD /BluRay ain’t gonna happen. Do you know that for sure or just guessing? I can’t stop listening to ‘Prologue’ from the live album, it’s magical!. The best thing about this release is that i’ll finally be able to relax and enjoy the gorgeous Sky of Honey suite (which was my favourite part of the live show) without Rolf Harris spoiling it for me! Why would Rolf Harris spoil it for you? Just enjoy the music and don’t worry about which background artists play on the songs. It really is that simple. Ordered from Amazon UK with shipping to New York City. £39.16/$50.93 + £3.08/$4.00 postage = £42.24/$54.94 total. As always, thanks for the heads up Paul! I’ve ordered both the CD and vinyl editions from Amazon.uk. With my VAT discount I paid a total of £54.89, shipping to Canada included! That’s much less than I can buy it for from Amazon.ca. I’m happy. Nice sound clip on Kates site and £13.99 for the CD is a bargin . It’s only been 2 years since the concerts happened. I think it took Led Zeppelin 5 years before their, considerably less staged, O2 gig came out on dvd. Just listening to the Prologue now on KB’s website – sounds great. No overdubs apparently. The album was produced by Kate Bush. Nothing on the record was re-recorded or overdubbed. Hammersmith 1979 got a CD release as part of EMIs Sound and Vision 1993 promotion. You got a VHS (yay) and CD double pack. It sounds excellent, almost as good as my Laserdisc copy. Thanks for the heads-up Ian! Indeed the UK price for the vinyl set is now £47 so I just ordered (2 in fact). Now i’ll cancel my Amazon Italy order. Good to see that it’s a British artist and those of us in Britain get to be ripped off on the prices. More so still for vinyl listeners. Just ordered the 4 x Vinyl through Amazon UK and was charged ONLY £46.99 NOT £71.99. With the price promise it is a no brainer. Thanks for the info – I just ordered both the CD and the vinyl. The Amazon UK price for vinyl is now £46.99 though you have to “add to your basket” to see this rate. Just bought mine and got confirmation at this price. Dive in now ? didn’t he recently break some bread with Del Palmer, long-time collaborator and ex-partner of KB? So I think Paul’s sources should be pretty sound regarding anything happening in the KB camp. The best thing to do with regards to a DVD/Bluray release is assume it isn’t going to happen. Why torture yourself for years on end as we do over these things. Then if – and it’s a bloomin’ big if, she should release it, it will be as nice a surprise as todays news. Finally I will be a really miserable so and so and point out that the majority of live performances are overdubbed or recreated in a studio environment and I’m guessing that most of what you hear on these disc, especially the vocal were recorded in the two since the concerts – Sorry. It was such a visual show that I’m gutted there’s no DVD to re-live it all. UK links are now LIVE!! can you explain a little about the pricing of new releases and why they vary so much, especially regarding UK productions/releases costing almost double than for example the Canadian import release. The CD set is now up at the £13.99 price on the amazon.uk site – ordering is a no brainer. I have loved Kate since her first single and have all the albums / videos and a number of bootlegs inc. this series of shows. I tried to get tickets back in 2014 but failed. Hope a Blu-Ray or DVD at worst comes along soonest. There is no way I am paying 72 pounds for the vinyl! 40 pounds at the most. agreed, especially as chances are high it will have problems. the cd set is the safer bet. looks like a fine package, I was very lucky to go to one of these shows but Whilst Im probably in the minority here didn’t really enjoy the show so unlikely I’ll be buying this. Still its great to see it finally get a release. Canada pre-order links now ACTIVE. Also, it looks like UK price for vinyl (when it goes live) will now be £72, that’s over £20 more than Italy. I’m pretty sure she has re-done or fine tuned the tracks. Just listen to James and the cold gun. Listen to the Audio from the original show of the song she used then the 5-EP lp. So, I’m sure she RE worked some things. I went to 3 shows (sept 16, 17,19), out of those shows, I liked the 17th the best which happens to be video recorded. The 16, 17 were video taped, and there were flaws in both. Like on the 16th the door fell off, and on the 17th a drape got stuck up top and didn’t fall. So, that could be part of of, she is mashing together 3 recorded shows since I hear a rehearsal was recorded as well. We shall see…. Wrong concert I think ! Anyway, she has confirmed no overdubs or re-recording for Before The Dawn as others have pointed out. I do think that loyal fans who simply couldn’t afford to attend might have been told before now that the Dvd wasn’t going to happen, if indeed that proves to be the case. A lot of people will have been looking forward to it. They will understand that sometimes things don’t pan out, but wonder why it has taken so long to determine this. I’m still waiting for her to release an a capella cover version of ELP’s Brain Salad Surgery in its entirety. No news yet. I suspect I’ll be even more disappointed than Mr. Hancock when it fails to materialize. Albeit you can, of course, buy any of them secondhand. Mostly very readorably priced with the odd exception like the Red Shoes on vinyl. Bit late for April Fools Paul ??? Nice to listen to a proper mastered version at last instead of my bootleg !! Regarding the Blu Ray and the DVD: Word is that Kate wasn’t pleased with the audio of both recorded nights and has shelved the release. And since there is no mention of any visual release with those packages, it seems rather unlikely that we will ever get any visual release of this amazing concert. But there is the slim chance that Kate will say something in the official announcement about why there is just an audio only release. Great news. On hearing that the BTD announcement was imminent, I was reviewing my preorders on all the stuff that is coming out thinking I would have to cancel some to find more pennies for a lavish SDE when I only needed fourteen quid! Will continue to treasure the programme bought on the night I went. As far as I understand the CD/LP release has not been “officially” announced yet…? Do you think there is any change that it will be released along with the CD/LP? Nov 25 is the date of the physical CD and vinyl release through Warner Music in all countries outside of the USA. Dec 2 is the date of the digital release in the USA through Concord Music Group (“(C) 2016 Noble and Brite Limited. Under exclusive license to Concord Music Group, Inc.”). This is already listed on iTunes USA https://itunes.apple.com/us/album/before-the-dawn-live/id1158444221 and Amazon USA https://www.amazon.com/gp/product/B01LXY77D5/ref=dm_ws_sp_ps_dp. We don’t know yet the date of the digital release outside of the USA (which will presumably be through Warner Music). We also don’t know whether or not there will be a physical release in the USA (or whether the US will have to rely on imports of the Warner CD and vinyl). So the entire concert was recorded to video and as it stands there will be no dvd of this concert..please tell me why? ?.what a waste of a video crew and all that equipment eh!!. Just because a DVD / BD isn’t being released now doesn’t mean it never will be. It’s taken her 2 years to select and mix the audio – that’s like picking up the CD after the gig in Kate world time. It’s certainly happening, the key is the cover image, no-one else has that image without the watermark staining. It just doesn’t exist except with Kate and her art team. So it can’t be a hoax. Amazing that a, now, 58 year old woman with only 10 albums over 38 years holds people, like me, in the palm of her hand. All power to you Kate. Thank-you. I trust you as a source, but the amazon.co.uk link has been removed, and many bootlegs surface on amazon.it (well, .co.uk too), and I’m a bit sceptic that the visual is exactly the same as the one used in previous audio bootlegs of the show (although, to be fair, it’s also the visual of the programme, so might turn out to be the official one too). She didn’t play it at the first show. That report is wrong. I think Never Be Mine was played at a ‘family and friends’ run through, a few days before the start of the 22-date run. The Amazon UK link hasn’t been ‘removed’ it’s waiting to go live. There sure is a lot of hope for this, although I wouldn’t be surprised if Kate finally doesn’t do it. Any idea when it will be available for order on Amazon? Only in Italy at moment. Just to make things clear, from what I read in the comments we can still expect a video release of the show? Far from clear. We’re *hoping* that might happen. Why would anyone doubt Paul’s veracity? Take him at his word because history shows he has earned the capital for us to do so. Put me down for both the vinyl & CD versions. Sorry mate, I’m new here and Paul is just another source as far as I’m concerned. That’s if you were talking to me. As a gobshite on the Internet I know how much or how little some sources can be trusted. I;m a paricularly unreliable narrator, sometimes I say things just for comic effect. Not saying it isn’t a lot of fun to play around with this, but there has been no announcement from any source officially connected to Kate Bush. Maybe one today or tomorrow, who knows. Let me put your mind at ease – this site is one of the best. Paul gets real information from real insiders, like a real journalist. This is not a fly-by-night site; it’s been operating for years now, and we all trust him. Except for the April 1 posts (which are obviously fake) I can count on maybe one or two fingers something was posted here that didn’t come to pass, and those were things that everyone (this site, label site, artist site, Amazon, JPC, etc.) expected to be released, and they got cancelled or changed very late in the game by label politics or some other business nonsense. But overall the hit rate here is phenomenally high. Especially when it comes to Kate Bush, there is no way Paul would toy with our emotions on this one. Lots of people have been waiting for this. Some things on the internet are more reliable than others. This site is one of those things. Thanks so much for being the first source for this news, Paul! The vinyl looks like a beautiful set. So excited – especially knowing that ‘Never Be Mine’ will be included (I remember seeing that it was cut after rehearsals and was gutted about that). I was lucky enough to see it live so will also wait anxiously for Blu Ray news! When do we get the 22 CD Kate Live 2014 set featuring every show? Of course I’ll get this. “The encore every night was Among Angels (from 20011’s 50 Words For Snow)” What year? ‘Never Be Mine’ was performed (as confirmed by David Rhodes), and thus recorded, but was cut at the last minute due to the overall length of the show. Nice that KT includes it as an extra on the first disc. ‘A Coral Room’ and ‘Moments of Pleasure’ were also apparently intended for part of the encore but don’t think they made it as far as to be recorded (though I really don’t know if a recording exists or not). What I’m eagerly awaiting is a complete career overhaul of all her albums, it’s high time. Remastered and reissued with ample bonus material as 2cd editions. Although I’m sure Kate is not one for nostalgia & probably doesn’t want her work reissued (most well known artists usually aren’t). But who knows?… this live album might be the start of a series of releases. Fingers crossed! Apparently as early as 2000 all her albums were due to come out in remastered and expanded form. It even got as far as the artwork, then she pulled it. Well she must have approved the reissue/remastering of The Red Shoes only from a few years ago. Perhaps she wants too wait when the time is just right! I’m particularly excited to hear Never be Mine, it’s always been a favourite. Between this and the news of deluxe versions of Moyet’s early albums being released, i’m ecstatic!. Thanks for the article Paul, i’ve been waiting for days for you to get hold of something official so you could post about it, ’cause I knew you must have been dying to say something!. It’s not actually official yet. But it’s definitely happening. WHAT?! Then please what is your source? Don’t worry about that. This release is happening. Maybe you chose words unwisely, otherwise I would think you were patronising me. You obviously have access to official images, listings and information. Why haven’t they released this themselves? No one is patronising anyone. If you don’t think that SDE is a credible source of info then that’s fine. But all this ‘what’s your source’ business is a bit silly. You can order this on Amazon but you aren’t sure if there is any truth in the story…? ‘Never be mine’ would be the only reason I could be tempted to buy any of this. For years, my favourite song was ‘How to be Invisible’, until I heard the ‘Director’s Cut’ of ‘Never be mine’ – and the revised version just brought out the imagery in the lyrics and the performance so well that I fell in love with it. Off now to compare and contrast those two once more! This all looks fine, for people who weren’t able to get there. I was, and I can tell you that what made the event so special were the theatrical effects – the lighting, staging, choreography and dramatics – and without a record of those that we can see ….. words fail me. I don’t want these audio-only offerings, sorry. I’ll stick with my memories. Don’t think we can completely rule out some future theatrical/blu-ray release… although nothing with this set doesn’t, on paper, look good. I was hoping there would be a 4LP vinyl and so there is. Utterly marvellous. I went three times and can honestly say when I heard back in March 2014 that this was happening I cried. This being one of the things I thought could never happen. It’s up there with Leicester City except even more improbable. Hopefully visuals to follow but the Audio will do very nicely thank you. had previously. that was something I’d never even thought about. *moment* of realising what was happening/what I was finally hearing. very very happy about this release. Brilliant news. Will wait to order from Amazon UK. Please let there be a BluRay release to follow! Putting together the “best” Versions of Songs from different Show always feels to me like cheating. An Artist should be honest enough to release a live recording from one Show even if there are some tiny mistakes. That’s what makes live Shows so interesting (and official Kraftwerk live Releases so boring). Don’t really agree…particularly given the theatricality of this performance. I want to hear the very best performance of every song. I’m with you on this Paul. I am not really much of a fan of live recordings but I would rather hear the best versions of the songs. It doesn’t matter to me that it isn’t all from the same show. I love the album cover by the way…. Normally I would agree with you BUT… on this particular show, the level of theatricality made it almost film like. I’m sure she wants to present the “best story” to serve the piece. It was not a “concert”, so I don’t think of it as a performance but more a concept, if that makes sense. Since we’re only getting one release I think she’s doing the exact right thing. “Little Light” is a choral and piano bit based on the And Dream Of Sheep theme. I presume within the show, they needed certain interlude pieces to allow Kate and other people to get to another location on the stage before the next song. Good news for Kate Bush fans! Not a big fan myself but I hope it’s released on MP3 too. 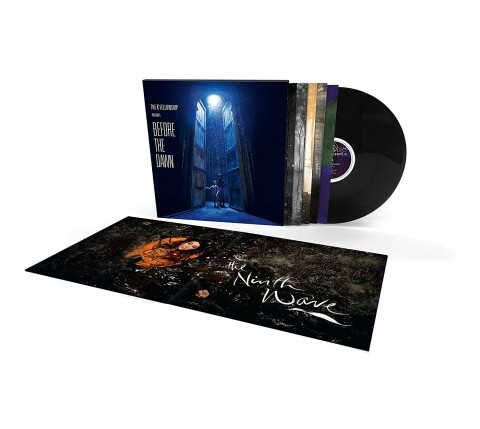 I’m not interested in the complete set but would very much like to hear the live performance The Ninth Wave, one of my favourite every pieces of music. FYI, Amazon.com is *only* listing the mp3, no CD or vinyl yet. So pleased to see this! I was lucky enough to attend opening nite. It will be a treasured item. Great news. What could be “Little Light”, in disc 2? Little Light was an interlude performed by the backing vocalists. This is great news, finally. Let’s hope we get the DVD to follow some time soon.